I need a mirrored symbol \Gamma. Is it posible? I can't find this symbol and I do not know a way to mirror the symbol. I use unicode math. It's better to use \DeclareRobustCommand so there's no problem using the new symbol in moving arguments. Of course you can't copy-paste it as a reversed Gamma, but the symbol is not in Unicode anyway. 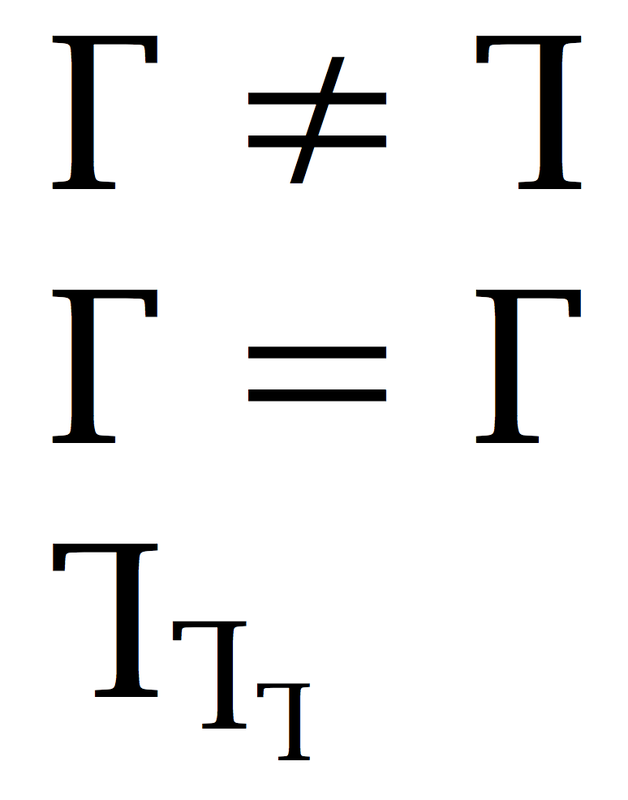 The \antivarGamma symbol appears in a 1945 paper on the Dirac equation (Proceedings of the Royal Society). See Is there a TeX symbol that looks like this reverse uppercase gamma? Source: H. Chandra, “The correspondence between the particle and the wave aspects of the meson and the photon,” Proc. R. Soc. London, Ser. A 186(1007), 502–525 (1946). Not the answer you're looking for? Browse other questions tagged unicode-math greek or ask your own question. Is there a TeX symbol that looks like this reverse uppercase gamma? How can I use the upright integral symbol of Stix Two Math font?